GMCA has a Senior Care Program in place. We put together packages to deliver to our senior citizens and physically disabled residents in our subdivision. They are delivered several times throughout the year. These care packages are filled with practical items to help each individual manage their basic needs and make their life a little brighter. For many, this is the only present they will receive. Items sometimes include holiday mugs filled with sugar-free candy, toiletry items such as shampoo, toothpaste, deodorant, coffee and teas, fresh fruit and bottled water. 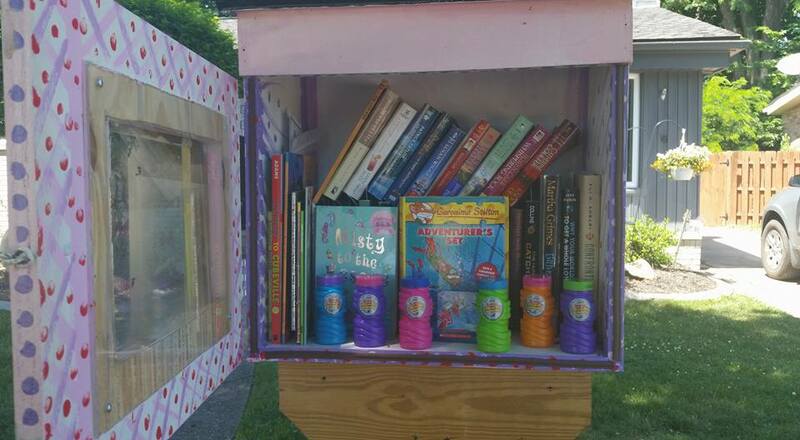 Check out our Little Free Library. Located at 26826 Rouge River Drive. There are books, and sometimes even surprises for your children to discover. Take a book, add a book. Its a great way to share some of those books maybe your child is tired of and get a new one to replace it to keep their interest in reading. Golfview Manor Civic Association Teen Action Council (TAC) is a student leadership program designed to offer youth,12 years to 18 years of age opportunities through service to build leadership skills, team building, problem solving and planning projects which benefit our community. We are a 501c3 organization. Click the button below for a brochure that provides details of the projects our group is involved in. It also gives you a list of ways to help our group. The GMCA Teen Action Council (TAC) group is a volunteer, civic-minded, community service organization comprised of youth ages 11 years to 18 years of age. Students work together to recognize the needs for services in our neighborhood and the community of Dearborn Heights. They develop action plans to bring forth needed services to meet the needs of our neighbors and our residents. Students gain valuable leadership skills, problems solving skills, working as a team and are giving back to their community. If you have a teen that might benefit from participating in this group or you need more information, please contact Lisa Hicks-Clayton (313.348-9848).